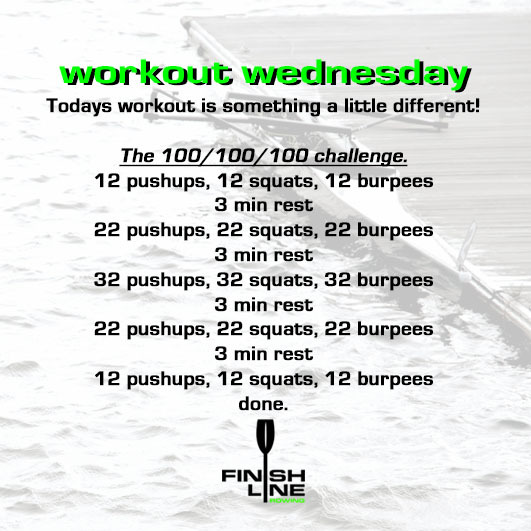 Nov 7 – Workout Wednesday! The 100/100/100 challenge is back! Lets do it!